Before you rush out and build that fence or wall, you need to know exactly what you want it for. Is it simply a privacy screen inside your boundary? Maybe you want to screen off an ugly view, or give windbreaks for the house or some part of the garden. Or is it right on the boundary of your property? If so, you'll need to find out exactly where the boundary is. You may need permission from your county to erect a fence at all, and it may need to fit with certain county or city restrictions. 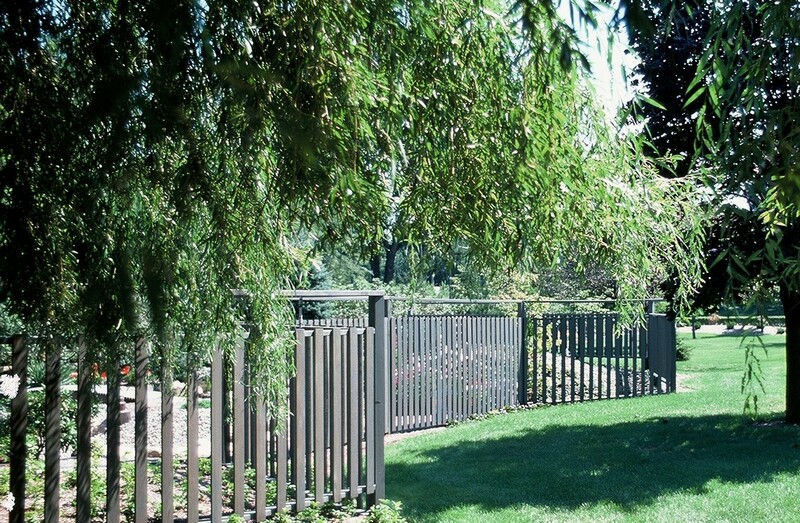 For instance, your fence may have to be made from a certain type of material; there could be a height restriction and there could even be color specifications. In any case, start off on the right foot by finding out all you need to know from city hall. A photocopy of your plot plan will be beneficial in making sure you don't build on your neighbor's land. Underground metal stakes mark the boundary of each plot. If you rent a metal detector, it will make finding these easier. Not all plots are in a perfect rectangle. They can be wedge-shaped or have odd corners, so it's necessary to find each stake before marking out your boundary. Just make sure your detector is beeping for the stake and not something else hidden in the grass. You might need to do a bit of excavation to make sure. If the fence you wish to construct is a boundary fence, remember to provide good access with wide gates. Think about wheelbarrows, ride-on mowers and furniture or even furniture vans needing access through that gate. In fact, if there is a lot of landscaping about to happen, it is wise to leave the fencing until it's finished, because heavy equipment and machinery may need to come in to the property. Otherwise, if one panel of fencing is made to be removable, it will save you having to install really wide gates where they may look odd. It will also save a few back muscle strains for the workers. Joist hangers are the most convenient way to remove a fencing panel. If you are planning on a retaining wall, then it is vital to get a professional to look at the site, because walls need a good foundations for safety. While the initial cost may seem to be just another addition to your budget, having a wall collapse is a rather nasty surprise you can well do without. Lawrence L. Hoyle, author, 53 years in the Landscape Profession. Check out his main website at: https://www.web-landscape-design-ideas.com. This website has free Landscape help for Do-It-Yourselves and a online Landscape Design Services for Homeowners, Landscape Contractors and Home Builders. Designs online since 2003 with designs in 40 states. Get your today. !